A few weeks ago Book Worm posted her review of Nation in honor of esteemed author Terry Pratchett, who passed away in March 2015. Today it is my turn to pay tribute to Sir Pratchett. Until recently, I hadn’t read any of Pratchett’s books — with the exception of Good Omens, a book he co-wrote with Neil Gaiman. Why? To say I read a lot is an understatement. And because I read a lot, I have a large TBR shelf and I’m constantly trying to decide which book to read next in my seemingly never-ending pile. I’m always hesitant to begin new series because: a) I have a compulsive need to finish what I start (even if the series is terrible — case in point, I read all of the Twilight books despite loathing every minute of them), b) I’m impatient and don’t like waiting for the next book to come out, and c) Unless I read a series of books back to back, I forget about what happened in the previous books. So, knowing that there already are 41 Discworld books was pretty daunting. Friends have been telling me for years that I should read Pratchett’s books because I would love them. Deep down, part of me was also concerned that if I loved them, I’d be heartbroken by the fact that Pratchett would never finish the series in his lifetime. Beloved fantasy novelist, Terry Pratchett passed away on March 15th this year and to pay a tribute to his life and his works, we have each decided to read and review one of his works. I’ll start it off with a review of Nation and next week Jen will share her review of The Colour of Magic, the first in the Discworld series. 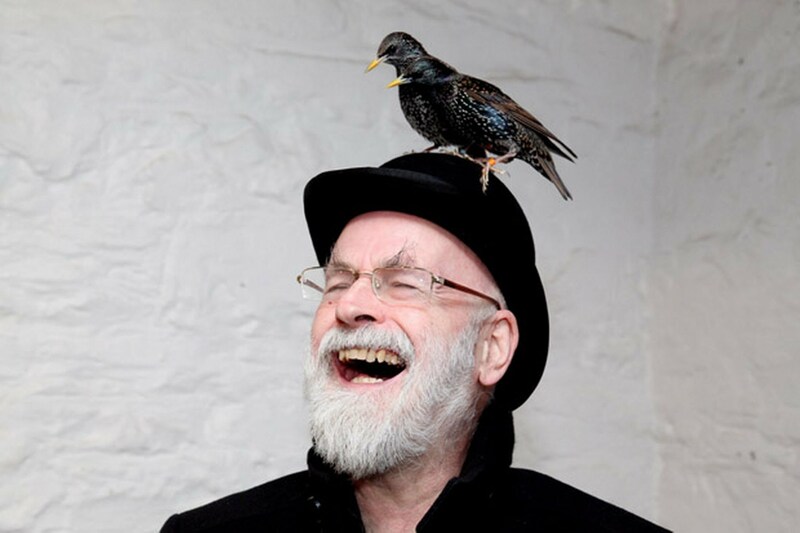 We hope you join us in sharing your thoughts about some of your favorite Pratchett books. We will be giving away one kindle copy of either The Colour of Magic, Mort, or Guards, Guards — you chose which one you want. Why these books? Although not in order of publication, they represent the first books in three story lines within the Discworld series (Rincewind novels, Death novels, and Watch novels). How do you win? 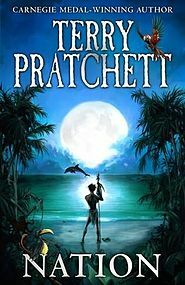 Simply share your thoughts about Terry Pratchett and his books in the comment section by April 1st and we will randomly select one person to win the copy. If you’ve never read any of his books, you can just comment on why you’d like to read one of his books.